Product prices and availability are accurate as of 2019-04-07 01:25:03 EDT and are subject to change. Any price and availability information displayed on http://www.amazon.com/ at the time of purchase will apply to the purchase of this product. 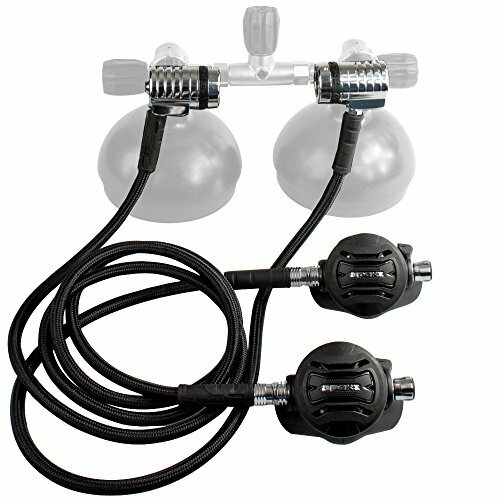 Apeks has developed unique first stages specifically for use on a twinset. The benefits of this system are: minimized risk of accidental snagging, no hose kinking and easier access to the manifold valves. Each first stage has three medium pressure ports and one high pressure port. They are over-balanced, cold water compatible and extremely robust. Tek3 looks great too. 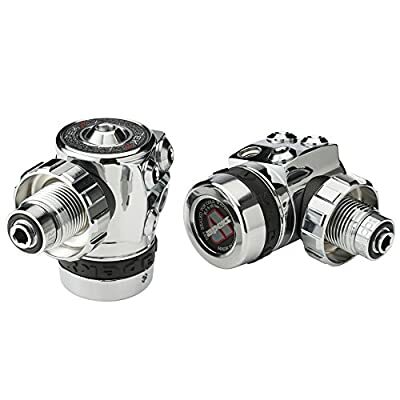 Not only is the Tek3 suitable for twinset use but it is equally suitable for single cylinder or stage cylinder configurations offering perfect, snag-free hose positioning. Tek3 is sold as a complete set with one each LH Tek3 first stage, one each RH Tek3 first stage, two each XTX50 second stages, one each 2-meter hose, one standard length hose and a regulator necklace.